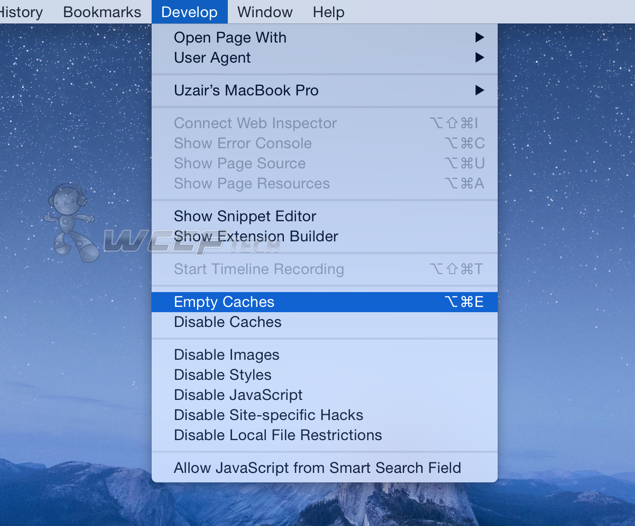 Here’s how you can clear cache on Safari in Mac OS X. Once done, you will be able to fix a lot of browser related errors and resolve page loading issues. As you keep on using your Web browser on your PC or Mac, cache files start to pile up in the background, which aim to improve the overall experience of surfing the Internet. While that may sound like an awesome thing, but too much cache piling up in the background can cause a bit of a problem. 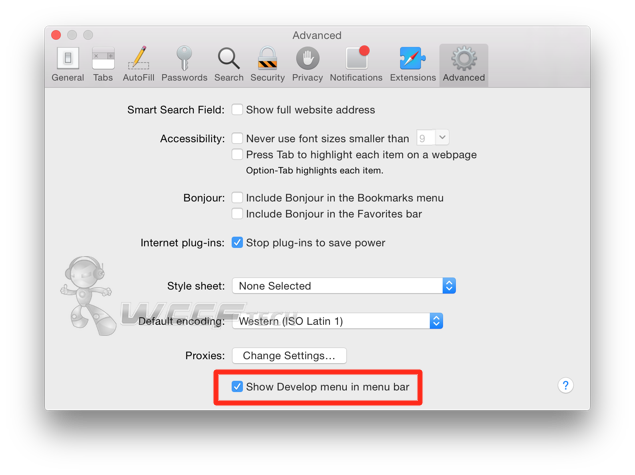 Case in point, we’ll show you how to empty the cache in Safari in a few easy steps. 1. Launch Safari on your Mac. 2. 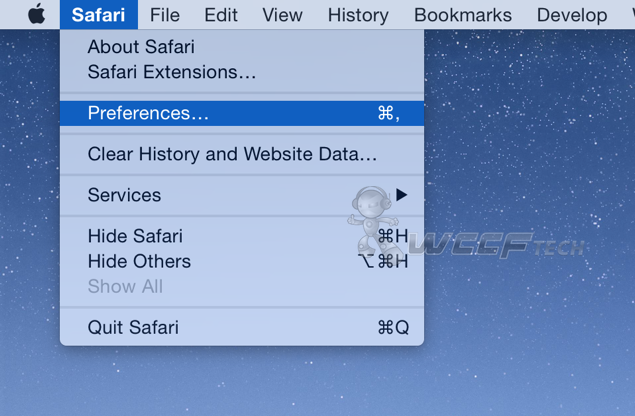 Now click on the ‘Safari’ button in the Mac menu bar. 4. A new window will open up. Click on the ‘Advanced’ tab at the top right hand corner. 5. At the bottom of the list of available options, there’s an entry labelled ‘Show Develop menu in menu bar.’ Click on that. The process might seem a little too long, but once you have the Develop menu in place, then clearing the cache is a simple case of clicking on ‘Develop’ then ‘Empty caches.’ Nice and simple, the way it should be. Clearing your browser’s cache from time to time is a good practice. For instance, if you have an older Mac, or maybe a MacBook with a small SSD then it can come in handy freeing up a lot of space in an instant. Furthermore, clearing the cache can resolve a lot of browser related issues and page loading problems. 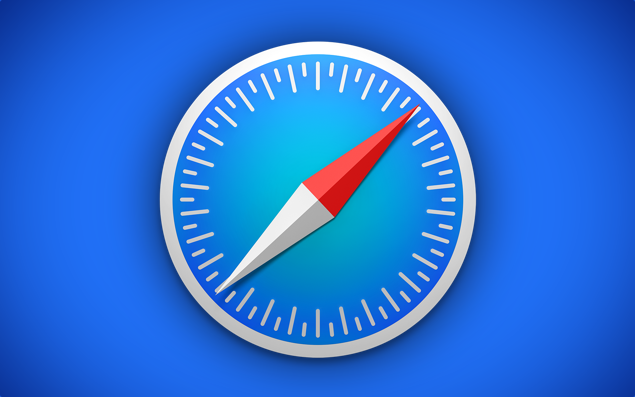 While Safari might not be the best browser in everyone’s books, especially when you bring Chrome into the equation, but Apple’s offering ties in nicely with the overall OS and works seamlessly across devices, provided you have an iPhone or iPad at home. In terms of performance, Safari isn’t a screaming demon either, especially in cases where you might be in an ownership of an older Mac, but still, it’s a lightweight offering, and is wonderful in terms of battery life, therefore we’d recommend to use it on a MacBook if you’re always out and about. Found this tip extremely useful? Then be sure to let us know about it in the comments section below.